Uber has been working on self driving autonomous vehicles for the past few years so that they can cut cost and stay competitive in the marketplace. Travis Kalanick asserted that if Uber wasn’t among the first few companies to have fully autonomous vehicles, Uber would not survive. The company with the first fully autonomous vehicle would be able to provide rides at a fraction of the price, driving Uber and Lyft out of business. The premise of fully autonomous vehicles is very attractive. The US Census reported that the average American spends 26 minutes commuting to work each day, which is about 50 minutes a day, or 5 hours a week. A fully autonomous vehicle could make the commute much more productive by freeing up the driver to do other things. In the distant future, autonomous vehicles would make the cost of a trip on Uber and Lyft so low that car ownership would be a relic of the past. Fully autonomous vehicles would appear when we need it and drive us to where we need to go. In addition, parking would also be an ancient concept with autonomous vehicles roaming the streets 24 hours a day, 7 days a week (with time to stop for charging and for maintenance). The hurdle to get to fully autonomous vehicle is huge. There needs to be enough processing power in each of the cars to process large amounts of information from various sensors to navigate the car through a city. There needs to be multiple sensors to detect objects, such as other cars, people, buildings, traffic lights and lane markers. There needs to be an algorithm to tell the car what to do based on the inputs it gets from the sensors. I personally believe that we are still many years away from a fully autonomous vehicle. Tesla has one of the most sophisticated autonomous driving mode but it can only be in use on the highway but still requires a super computing chip and a dozen sensors to operate. I am a surprised that the car didn’t see the woman or the bicycle. It is possible that she decided to cross the street last minute, didn’t see the car and walked right in front of it before the computers had time to react to it. There was a person in the driver seat as well and not sure why he didn’t react to the woman and her bicycle. How Does This Affect Uber and Lyft Drivers? New technology always has risks and this is the manifestation of such risks. It was only a matter of time when an autonomous vehicle injured or killed someone. It is almost impossible for any kind of machine to be error free, whether it is a toaster or a self driving car. Errors occur and to expect it not to have any errors would be reckless. While I expect autonomous vehicles to be much safer than vehicles driven by humans, it doesn’t mean that autonomous vehicles will have zero accidents. Risks associated with autonomous vehicles will slow adoption rates and this is good news for Uber drivers and Lyft drivers. I believe that this will set back Uber by at least a few months, but this may give other firms more time to bring their own autonomous solution into the market. This may mean that while Uber may not replace drivers as quickly, other firms may launch their own rideshare service with autonomous vehicles. I firmly believe that it will be at least a few years before autonomous vehicles start to replace Uber drivers and Lyft drivers and a few more years when there will be more autonomous vehicles than vehicles with Uber drivers. Even today, passengers and drivers have a hard time finding each other, especially with the new Express Uber Pool service. It may lower customer satisfaction for a service to expect riders to be able to find their own Uber or Lyft rides. As stupid as that may sound, riders don’t find their Uber and Lyft rides more than you may think. While this incident isn’t very serious compared to over 100 people who die in car accidents every day, it is very serious for the autonomous vehicle industry. 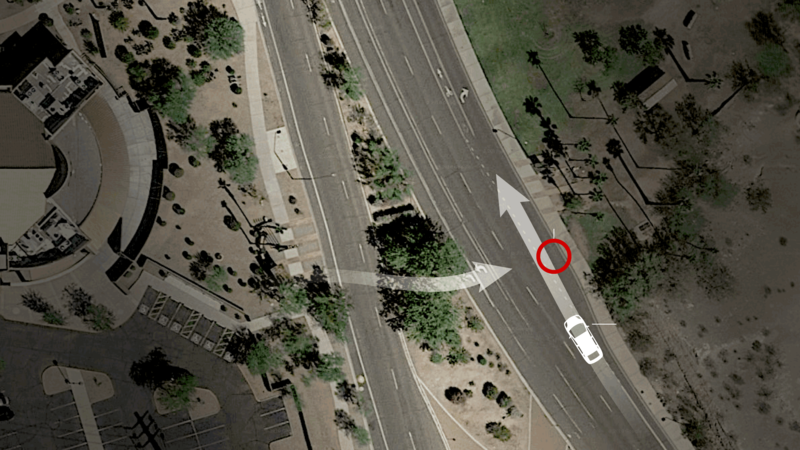 This incident reminds everyone about the risks involved with autonomous driving. In the past few years, there have been very few incidents so many people were lulled into thinking it is 100% safe. That has changed with the fatality. Boston ordered a suspension of autonomous vehicle testing yesterday following the fatality in Arizona. While this setback will buy Uber drivers a little time, this incident will not stop the advancement of autonomous vehicles or the replacement of Uber drivers by autonomous vehicles. Uber drivers should look at their long term plans to find another type of employment because eventually, most drivers will be replaced by autonomous vehicles. I don’t believe that EVERY driver will be replaced but a majority of them will be replaced by autonomous vehicles. I believe that there will be a premium service where an Uber driver will be behind the wheel and they will be able to give more personal service compared to an autonomous vehicle.